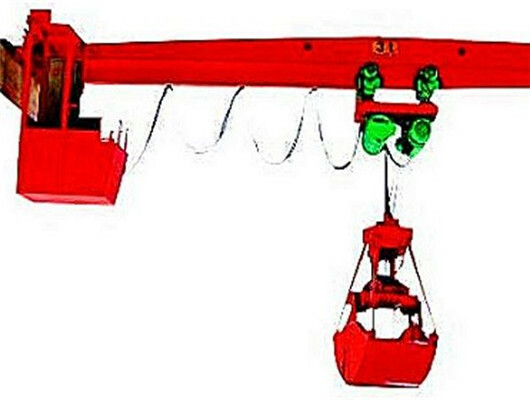 Grab overhead crane is the excellent lifting equipment provided by Weihua. It is mainly composed of the bridge frame, trolley travelling mechanism, different type grabs and electric devices. In addition, the product can be widely used in power station, workshop, some ports, storage, metallurgy, waste and renewable material, chemical industry, steel melting and coal industries, etc. 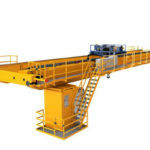 Grab overhead traveling crane can load or unload some scattered materials. The grab’s open direction have two models of parallel to main girder and perpendicular to main girder. 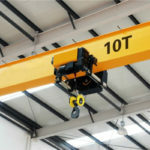 Its lifting capacity includes the grab weight. Owing to difference of materials, our experts design various models according to users’ requirements. Of course, the crane not only apply to indoor working places, but also work outdoor construction sites. 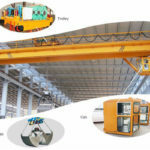 We have many types of grab crane, they must meet your demands. If you want to customize your lifting products, we can also meet the customized crane or grab. 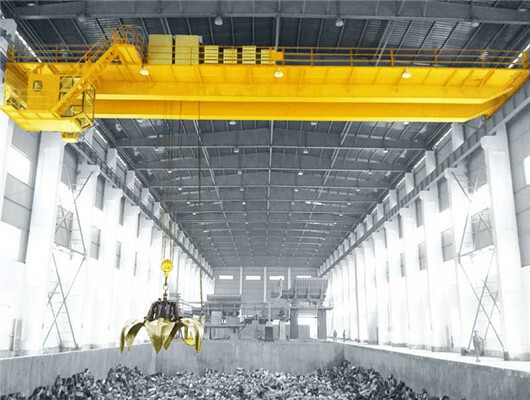 Before manufacturing the crane, we can consult customers’ ideals to design their grab crane. Our group also gives you more reasonable advice. If you want to learn more discount or information, you can contact us as soon as possible. No matter what your order is small or large, we must give you the reasonable discount. According to the difference of structure form, it is divided into the singe girder overhead crane and double beam bridge crane. QZ double girder overhead crane adopt welding box beam and camber can meet clients according to national standard. If you want to quickly finish your working or improve your work efficiency, our company’s grab cranes can work all around clock. In addition, we install some safety protection devices. Some overload protection devices enhance performance security. The QZ overhead crane equips with double speed mechanism. 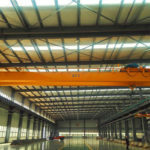 Compared to traditional grab overhead cranes, our firm’ grab cranes have a strong working performance in terms of precision, so it brakes effectively and has long service life. The easy and convenient operation is realized by remote control of grab cranes. 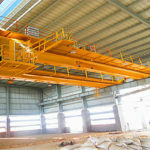 The operation method of grab overhead crane has ground control and cabin control. If the customers want to add remote controller, it can increase safety and reliability. 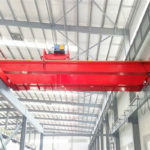 Compared to double girder grab overhead crane, LDZ type just only has the single beam structure. This is designed for grab loose objects such as cereals, sand and industrial bulks. The lifting height of is 6 to 18 meters. The speed is controlled by the systems. In addition, it has high working level. For single-beam grab cranes, the main girder uses a U-shaped groove made of steel plate. We adopt low voltage protection, phase sequence protection and emergency stop device for grab cranes. If the customers have some needs, some warning indicators are installed such as flashing lights and warning sound. After development of many years, the optimal designed grab cranes are widely used for serving different working sites with automatic and semiautomatic control. The crane has a compact mechanical structure and good performance. It can work in harsh environment. 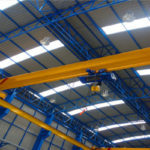 The design of this overhead crane makes the entire equipment simple, stable and more efficient. 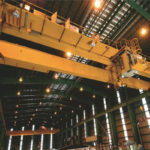 The double-beam overhead grab cranes have a higher working class and rated power than single beams. The open direction of platform door to the driver’s cap includes end ,side, or top model. The ground control has handle and remote control. If you do not need to set up special driver controlling room. Of course, in order to ensure safety and good performance, you can choose as you need. Driver’ controlling room makes the users have open vision and comfortable operation. In addition, the grab has many other advantages concerning tight surface, compact and durable structure, easy operation, beautiful exterior, safety and reliability. 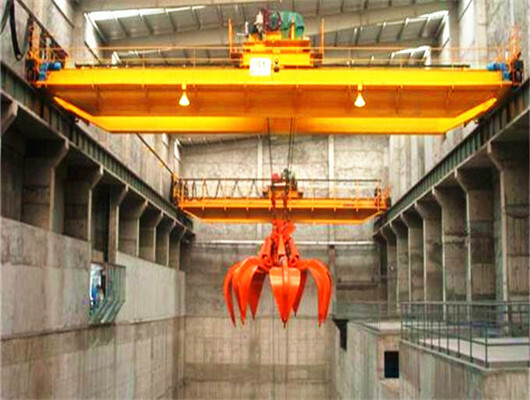 No matter which crab crane you choose, you can get high quality equipment from Weihhua at a low price. Weihua grab overhead cranes adopt the latest technology in order to increase the safety and productivity of operators and working. We can provide the customers with lots of lifting equipment. Our excellent and professional cranes represent the most advanced lifting equipment functionality on the crane market today. 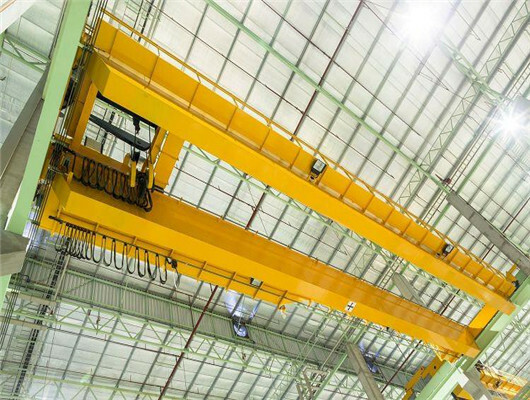 Our industrial overhead cranes represent high-level product quality starting from a single component all the way to an entire process. We adopt the remote service connects data, machines, and people to provide remote monitoring, diagnostics, analytic, and usage-based predictive maintenance. 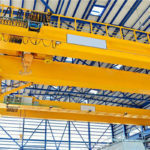 The grab overhead crane is designed to help the users potential maintenance and performance issues before these issues become critical and threaten employee safety, productivity, and revenue. Our company can design many types with various functions. With the development and research, we have experience of many years. As the leading manufacturer and supplier in construction machinery, our products have exported many countries and regions. If you are interested in our products, please get in touch with us as soon as possible.